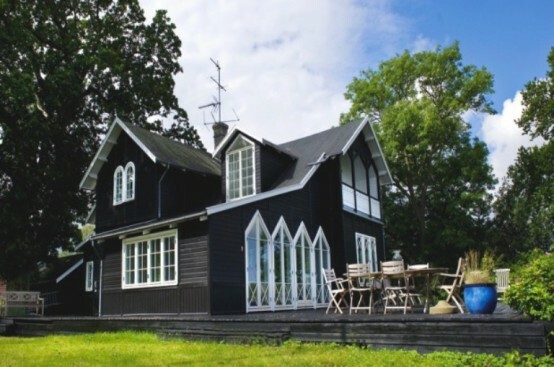 This summer house is located not far from Oslo, Norway, and was built in 1914 in Denmark and then transported here. The exterior is dark while the interior is white. 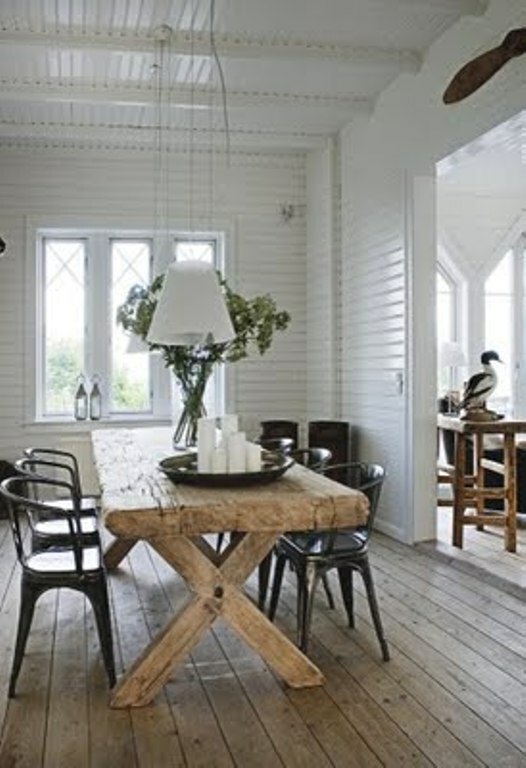 The interior is made in natural rough wood, some old furniture remained: old wooden tables look great and vintage and add some rustic touches to the space. 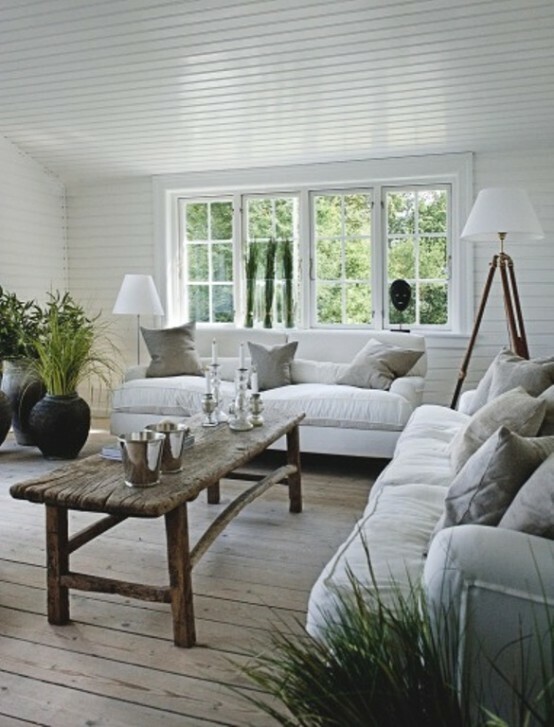 White, grey, rough wood and green plants make this retreat very calm and relaxing. 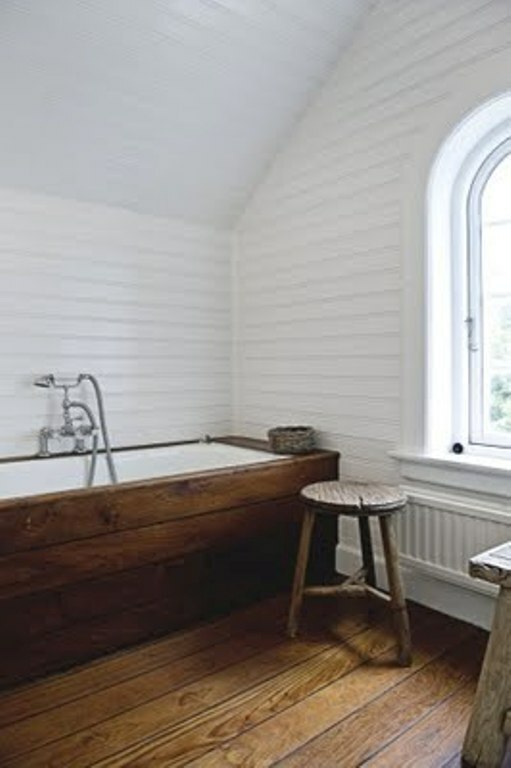 The bathroom is also decorated with natural wood panels; as this house used to be a hunter’s house there are several animal heads on the walls. I love big tall windows that maximize the light and views. 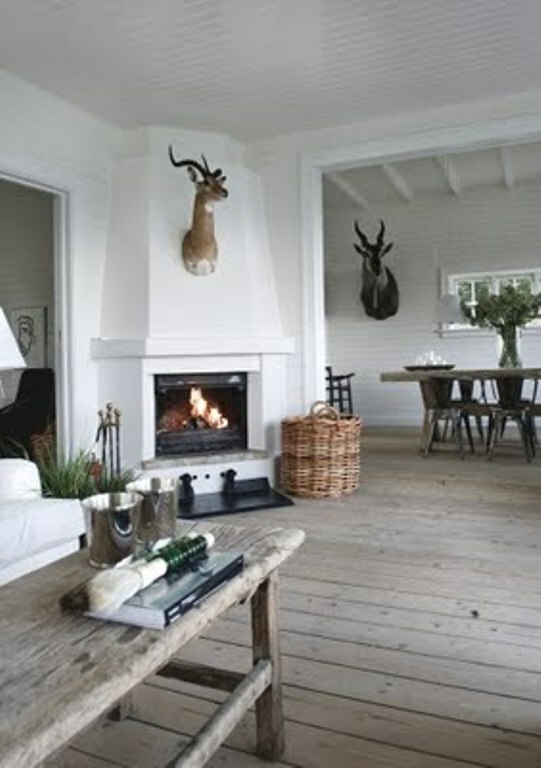 Fantastic retreat to escape from a big city!